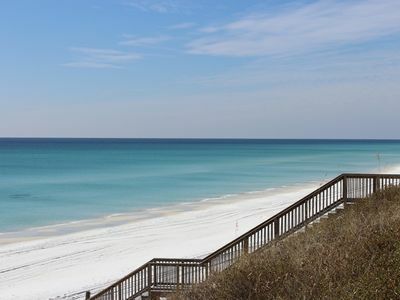 Seagrove 5 bedroom - Deeded Beach - Community Pool - Sleeps 13! 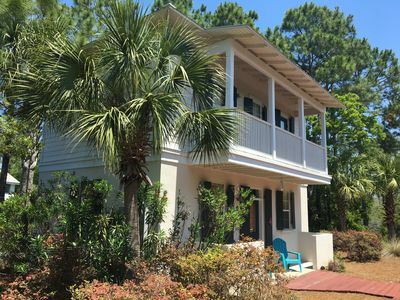 Ocean Breeze Beach Getaway with elevator-near Seaside(1.2 miles) and beach(400 yards) 3 decks & porch. 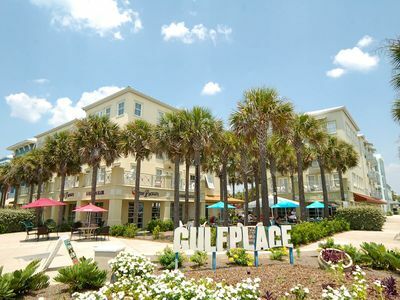 Very convenient location to best restaurants, bike rental, shops, urgent care center two minutes away. 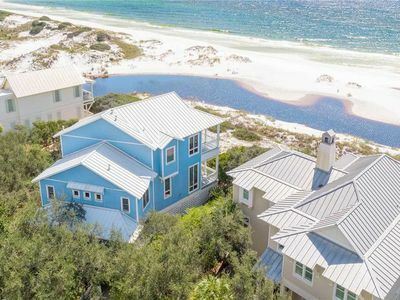 Located in beautiful Seagrove Beach one mile from Seaside, this upscale home 5 bedroom /5.5 bath, 3-story house with high ceilings, elevator and high-end kitchen, is located in a private community at the intersection of 30A and Robert-Ellis Drive. 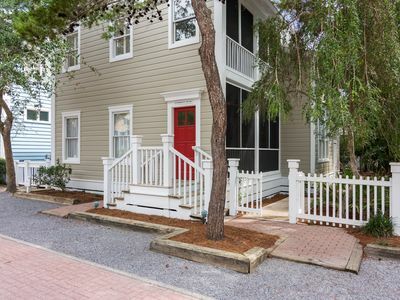 Easy location close to Seaside, Watersound, & Rosemary Beach. 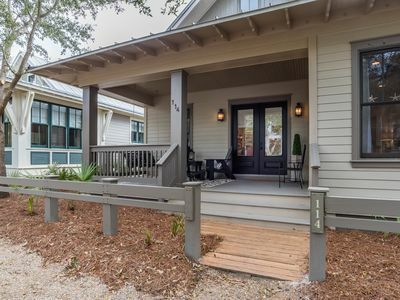 Right off the front porch is a private community pool. 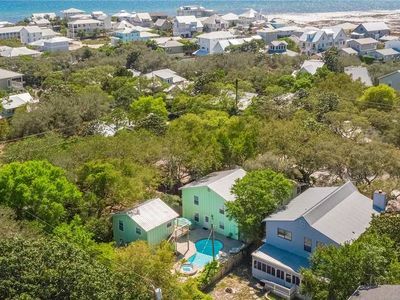 Snow-white beach is located just 400 yds away, an easy 5 minute paved road walk (or drive) that takes you right by a neighborhood deli/store, a bike rental store, fresh fish market and an ice cream shop. Each of the five bedrooms have its own adjoining bath. 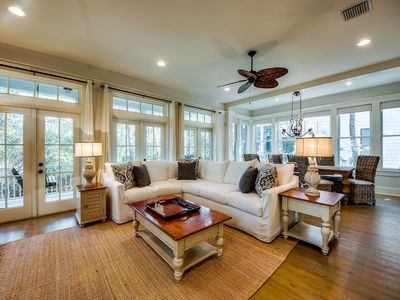 Designer furnishings and an abundance of light and space create an uplifting, relaxing experience ~ 1st floor: Living area has 42” plasma TV/DVD, sleeper sofa, half bath. 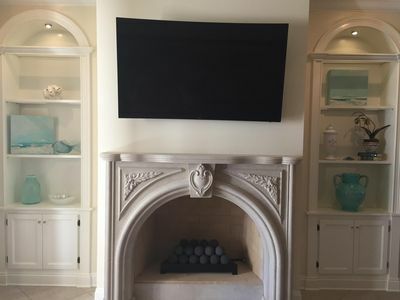 Direct TV through out the house. 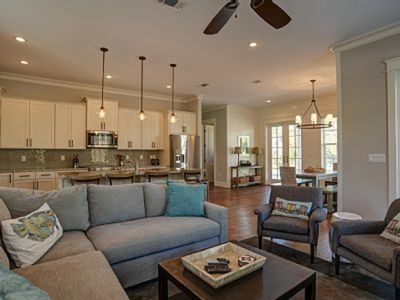 The high-end kitchen has large island bar, Wolf gas range, granite countertops, & full size frig/icemaker. Dining area seats 8 and 4 additional at the bar. Good supply of equipment for the discriminating cook. 1st floor King bedroom, 32” plasma TV, Luxurious bath with double vanities, Jacuzzi tub, large shower. 2nd Floor: King bedroom, 20” TV, bath. Bedroom with pyramid bunk, TV/ DVD & adjoining bath. Queen bedroom, with bath. Laundry room. Lounge area with TV and desk opens to additional deck which overlooks the gorgeous pool. Kids bedroom with bunk bed and small futon for a toddler. Pack-n-play also is available. Bunk has a full and twin bed. 3rd Floor: Queen bedroom, TV, bath. 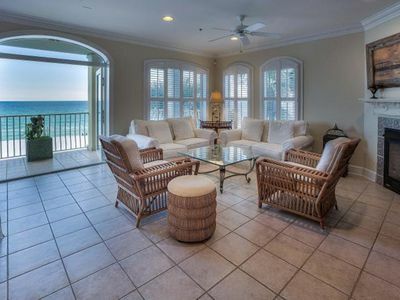 Lounge area has wet bar, sink, frig ~ French doors open to large patio with gulf view. Bedrooms have Simmons Beautyrest beds with healthsmart tops (featured bed in all Westin hotels). 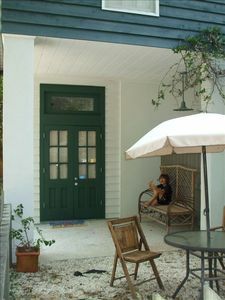 Gas grill available outside on front patio. ONLY 3 night Min. 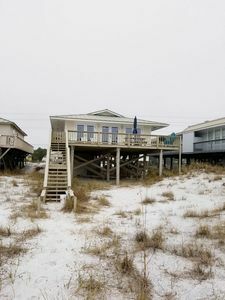 TRUE Beach Front! Gorgeous Villa/ Pool. Large private balcony! 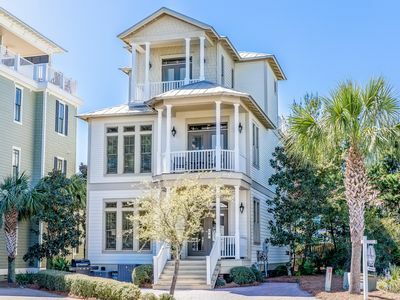 In Seaside Proper 'Goodnight Moon' 3BR/3BA NEW Updates! Across from Pools! 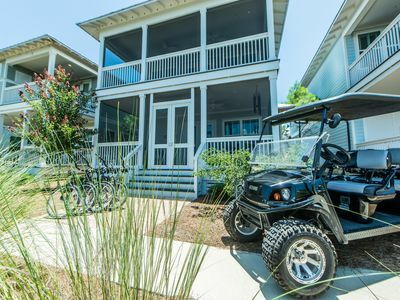 `105B Dunes of Seagrove`Newly renovated 2019 Gulf Front 30A Condo! 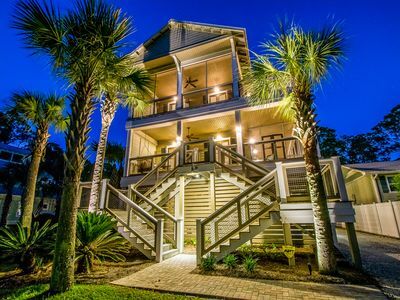 Several Summer Weeks Open for this Gulf Front Complex!! 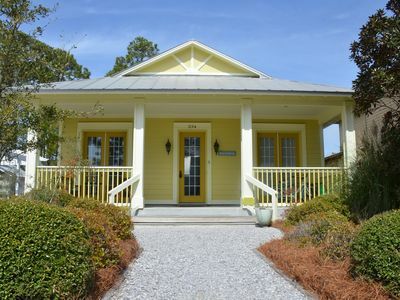 Cozy Bungalow at Seagrove ~ Community Pool ~ Close to the Gulf! 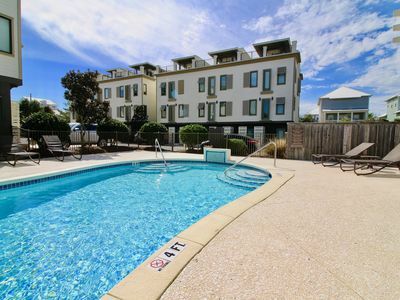 Designer Cottage next to Seaside Access - Spacious Floor plan. Must See! 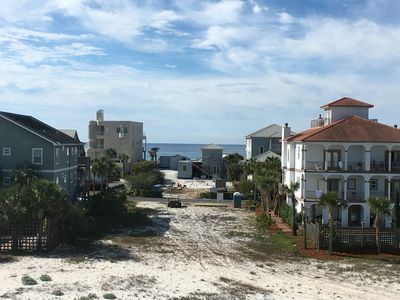 Barefootin - Gulf Front, Gulf Views, Heated Community Pool, Old Florida Beach! 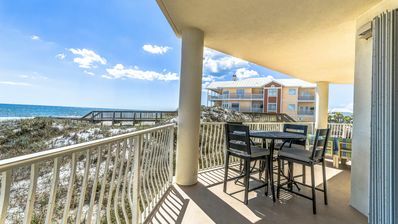 Rooftop View at Thirty Blu, Blue Mountain Condo 30A, Steps to the beach! 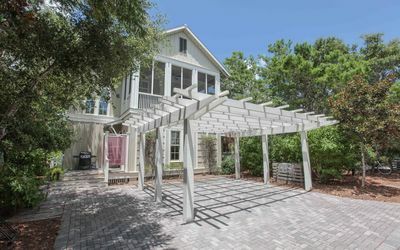 Spoiled Rotten - Historic Grayton Beach, 30A, Private Pool, Pet Friendly!